A contributing author for the American Health Lawyers Association's Health Care Reform Educational Task Force, Ms. Thompson received her J.D., with a Health Law Certificate, from the University of Maryland Francis King Carey School of Law, where she also served as the Manuscripts Editor of the Journal of Health Care Law and Policy, President of the Student Health Law Organization, and Treasurer of the Women’s Bar Association. 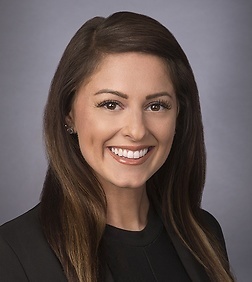 She is a recipient of two CALI Excellence for the Future Awards—one for the study of Health Law Fraud and Abuse and the other for Written and Oral Advocacy—and was part of a team that won first place in the Fifth Annual Health Law Regulatory and Compliance Competition. the office of Congresswoman Carol Shea-Porter of New Hampshire.